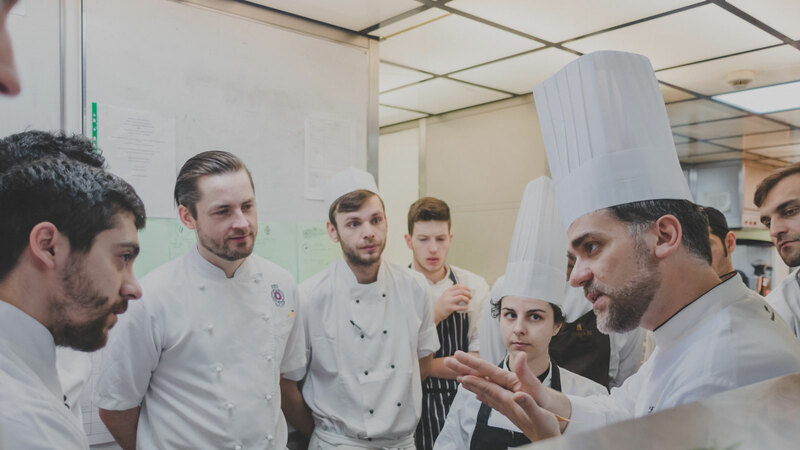 The kitchen of a high end restaurant can be compared to a professional environment geared to achieve goals as quickly as possible: the brigade, led and driven by the Executive Chef, is urged to respect rules, times, costs, positions and roles to achieve an excellent common result. The same mental order, harmony of relations, respect for the tasks typical of every business environment are also found in our kitchens. Here is why the teams that share this experience end up feeling more aware, and with a stronger team spirit. Il Palato Italiano collaborates with selected coaches and trainers to study targeted programs that can meet all company needs: together with HR staff and managers, the guidelines of these important growth opportunities are drawn up. The trainer observes relation dynamics and analyses the situations experienced to give tangible hints in creating a tight team. 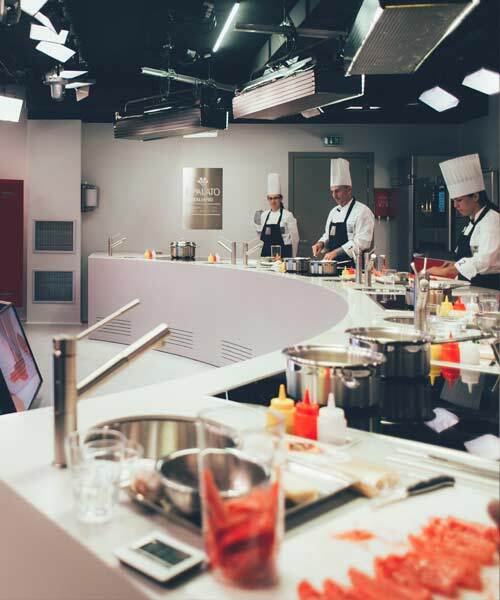 Learning to cook together can be the occasion to motivate a work team or to strengthen relations with special clients. Our Chef Filippo Sinisgalli will lead the experience customizing the preparation to your specific requests. Whatever your need, please contact our client service. We are ready to create something unique for you.